Villa in Como. 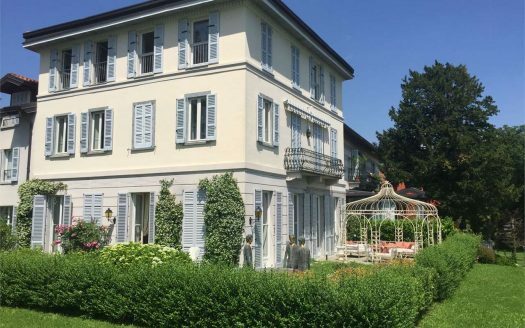 Beautiful independent property at the heart of Como city, featuring charming lakeviews. Sitting right on Bignanico hill, one of the most prestigious areas in the city, the villa enjoys plenty of sunlight and a panoramic lake view and the proximity of the city centre in the background. The 4-storeys property is surrounded by a multi-level garden including a spacious garage accomodating up to two vehicles as well as a wide area at the end of the driveway at the front. On the ground floor you’ll find a wide open space featuring the hall, a spacious kitchen with a small terrace, the sitting room and dining room with a big balcony, the bathroom and the garden. On the first floor a masterbedroom, the adjacent study room, a second bathroom and a 60 square mt terrace.